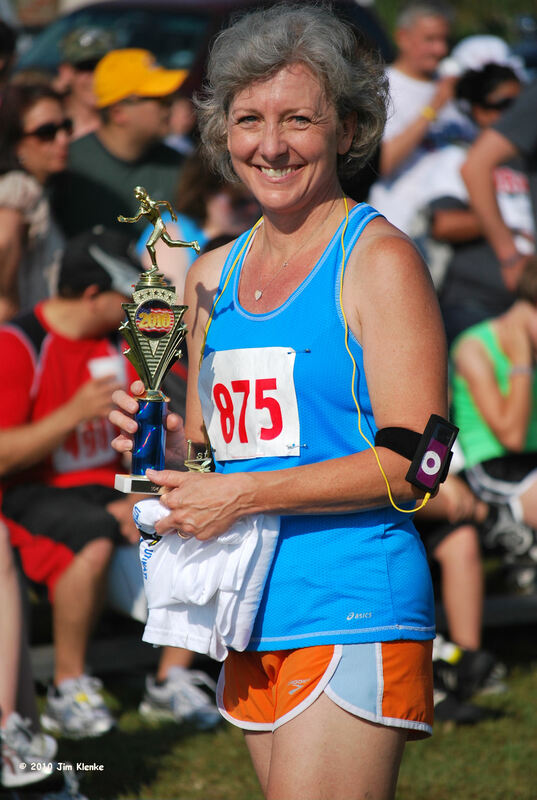 Shelley Smith from Terrell holds her trophy for 1st place in her age group from the Polka Fest 10K Run held in Ennis, TX on Saturday. Ms. Smith is not only an avid runner, she also is an accomplished artist. You can find her artwork at www.shellykolmansmith.com. Ms. Smith recognized me at the awards ceremony. It helped I had a shirt that said Terrell Daily Photo on it. If you see me out with my camera, come up and say hi. Brian and I traveled down to Ennis Saturday morning for the Polka Fest Run 5K/10K. I ran the 5K, Brian ran the 10K. My time in the 5K was the best I have done so far. I ran in 34:29. Brian ran his 10K in 1:10.